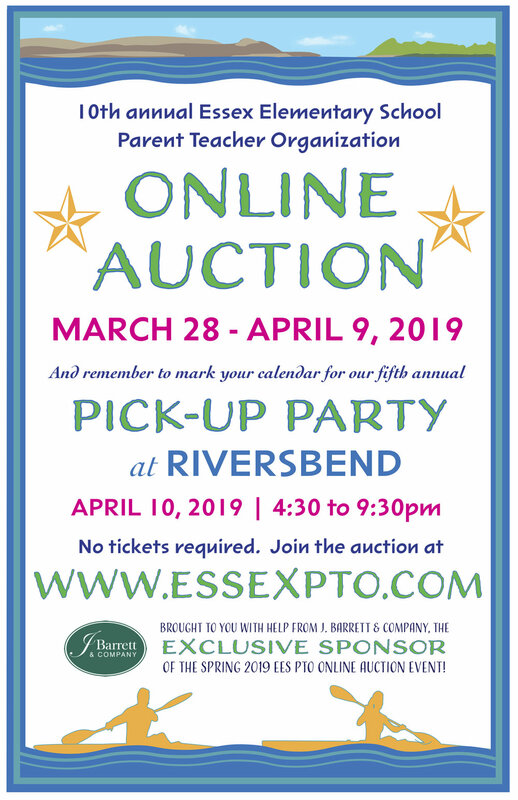 Bidding opens Thursday March 28, 2019 at 9 am! Bid early and often, as this is a fundraiser! We have been hard at work collecting donations from generous local and national businesses and are well on our way to a great selection. However, it's the fun and imaginative donations our EES families and staff provide that really set our auction apart from other fundraisers. The buy-in parties, fun experiences, homemade creations, personal artwork, and more are the icing on the cake and what make our auction unique and truly successful! Also a great addition are local restaurant gift cards, sports, concert, theater or event tickets. exclusive sponsorship of the EES PTO online auction!